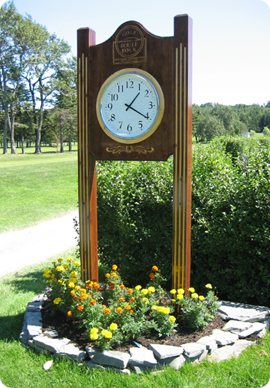 To self-monitor golfers' pace of play, the Boule Rock golf Club uses Pace of play clocks. The recommended time for 18 holes is 4 hours and 15 minutes. When a group reaches a Pace of play clock on the course, the time on the clock should be before or the same time, but no later than their starting time on the first tee.